I am always in the hunt for local entrepreneurs who share similar principles as us, in making well crafted, socially responsible products. 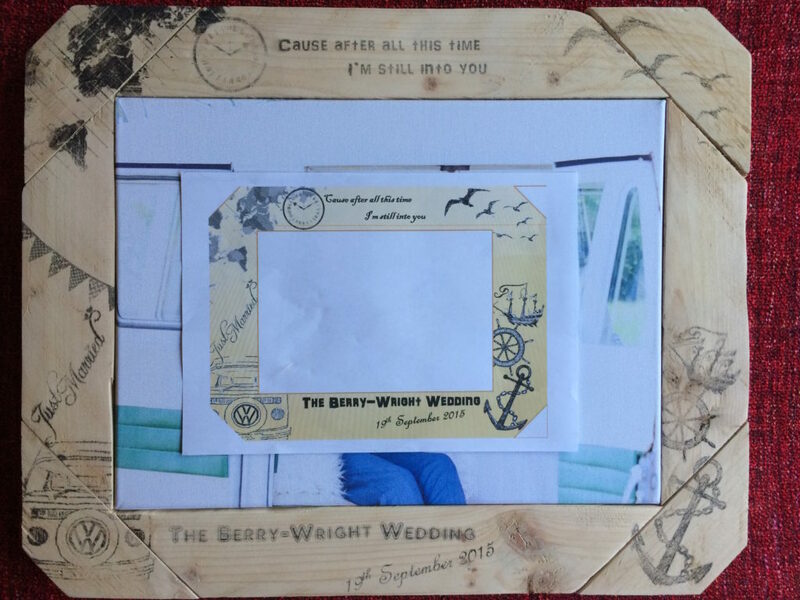 When I saw Jams & Co’s personalised upcycled wooden frames, I knew that this was a type of product that my clients are going to love. I’m delighted to now say that we have established a partnership to bring you these beautiful hand crafted products, every one unique to your special day. 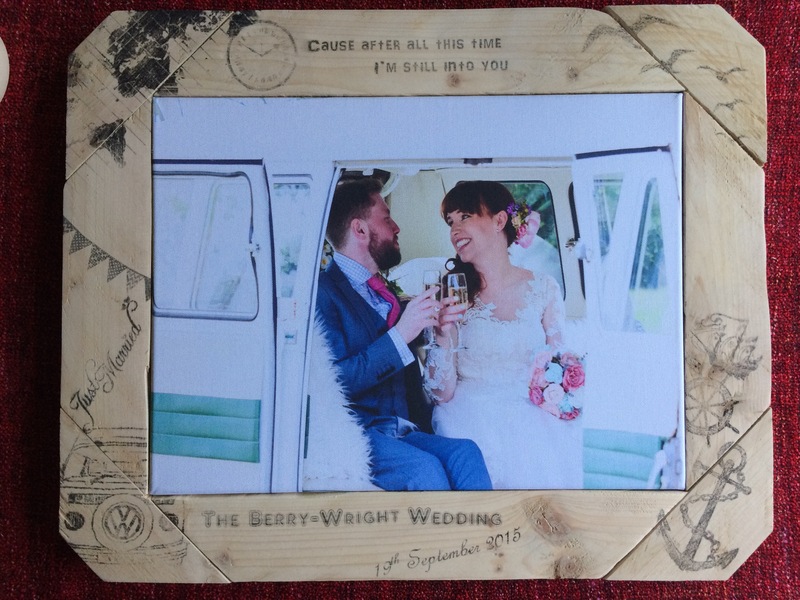 Benfleet based, James and his wife Coe have been making a name for themselves in Essex, creating beautiful pieces of bespoke furniture, mostly using reclaimed wood. From shelving to statement pieces, James’ carpentery is a based on elegant twists to classic designs. Coe brings the artistic flare to their woodwork, unafraid to use bold splashes of colour, yet subtle in her stencil design, focusing on burnt dark hues. After your wedding day, I will share all of the delightful intricacies & peculiarities that made your day so special, and share the with Jams & Co. 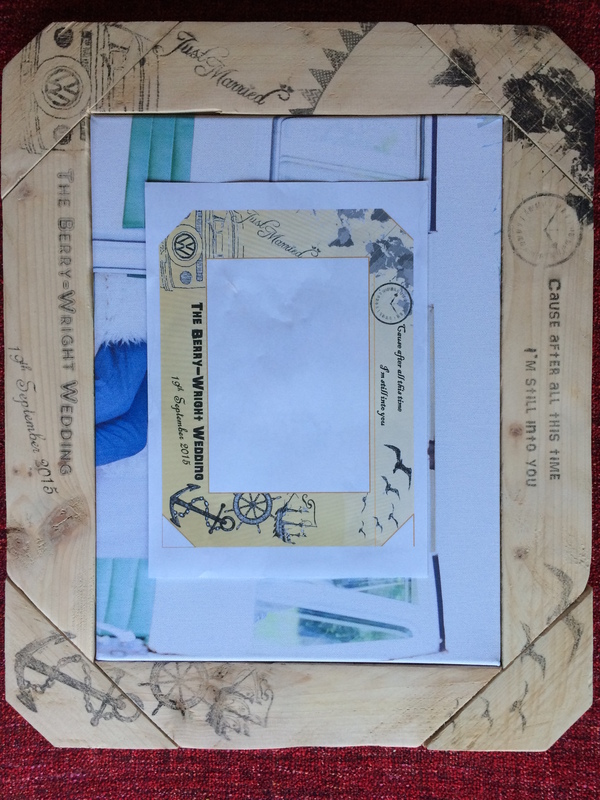 They will create a beautiful handmade wooden frame from reclaimed sources which will feature some of these details in a beautiful & elegant design, making your frame unique & special. Inside will hang a stunning digitally printed canvas, printed right here in the UK. 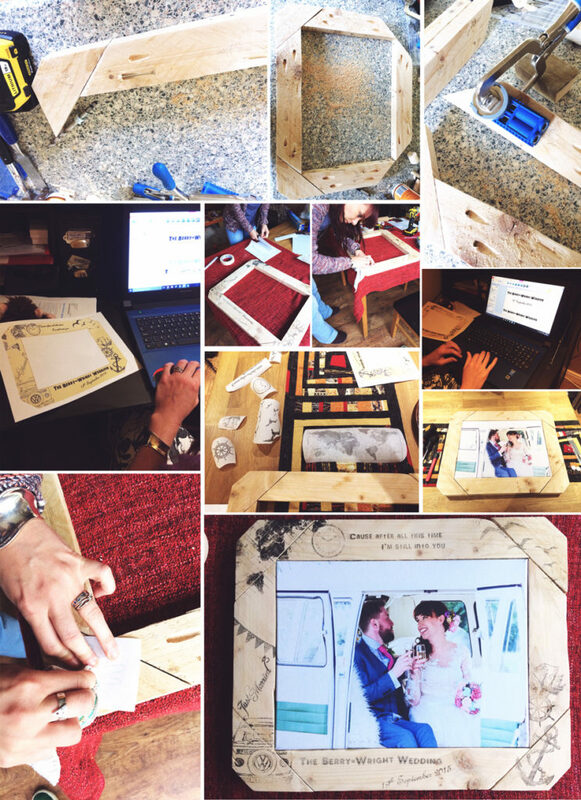 Neil & Louise chose to have a personalised framed canvas made, here is a behind-the-scenes look at the process from start to finish. If you are interested in having one of these beautiful handmade pieces made, please enquire using the form on this page for prices and details. Here are some nice shots of the finished article.